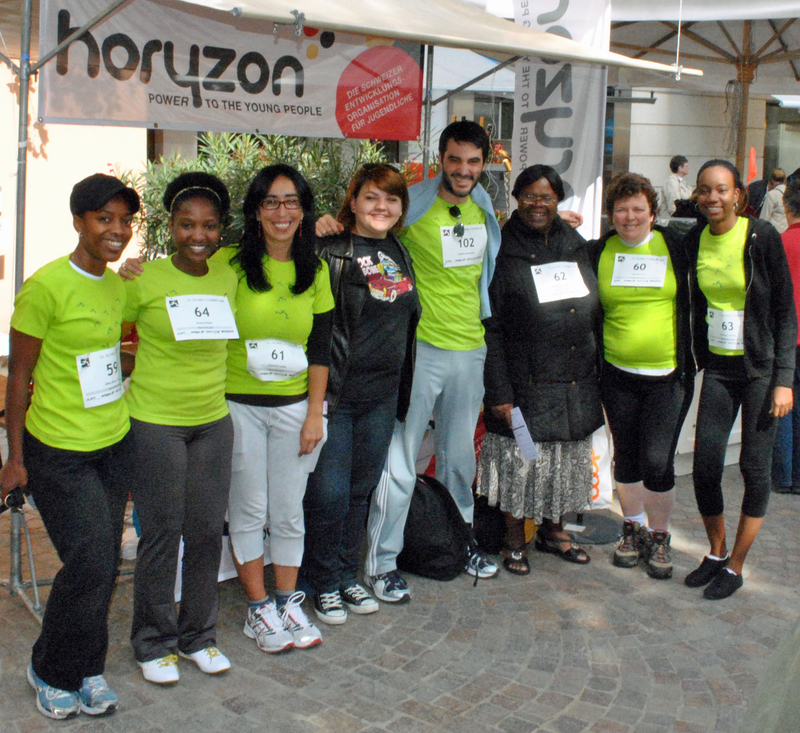 On September 18, 2010, World YWCA partner organisation Horyzon, of Olten Switzerland, participated with the World YWCA on a run/walk event that helped to benefit the World YWCA Power to Change Fund as well as a local Horyzon project in the Olten area. The run had 241 participants, including 4 staff members of the World YWCA and the 2010 World YWCA interns, Ravicka Phillip and Kuena Diaho. In total, over 3,300 kilometers were walked and/or run in 2 hours and nearly 35,000 CHF were raised by the runners/walkers. The World YWCA Power to Change Fund will receive a portion of the funds raised. Horyzon and World YWCA have been partners for several decades, and the Olten runs have supported World YWCA projects all over the world. The impact of these events is tremendous, and the partnership is truly appreciated. “For many years, the sponsored runs have been an important source of funds for Horyzon. Apart of the funding, it is a good way for children and young people to have fun and to show solidarity at the same time. It was a good experience doing good with my feet for once!” said Adamo Antoniadis, of Horyzon, Switzerland, who helped to inspire the World YWCA team. The Power to Change Fund invests in the leadership development of women and girls to advance social change around the world. Stringent guidelines and application procedures guide the grant-making process. Grant amounts of USD 10,000 to USD 25,000 are made each year to successful YWCA Member Associations that apply. There is a limit of one grant per year per Member Association. Through the Power to Change Fund, women and young women are equipped with skills, knowledge and resources and can be a powerful force in changing lives and communities around them.